Xodo can be displayed in a dark or a light theme. 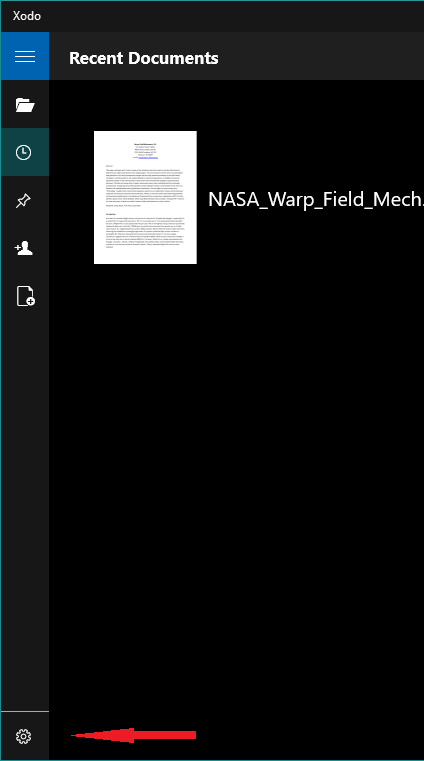 This affects the menus and buttons, but not the document itself. 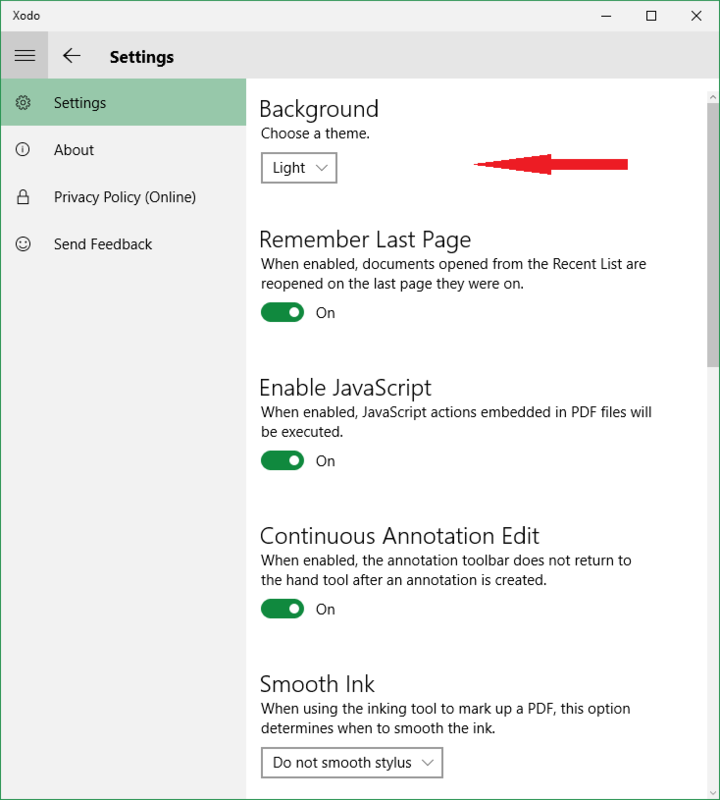 To see how to change the color of the document, see Enabling night reading mode and other reading colors. The theme can be changed in the app's settings. 1. Open the settings from the viewer page. 2. 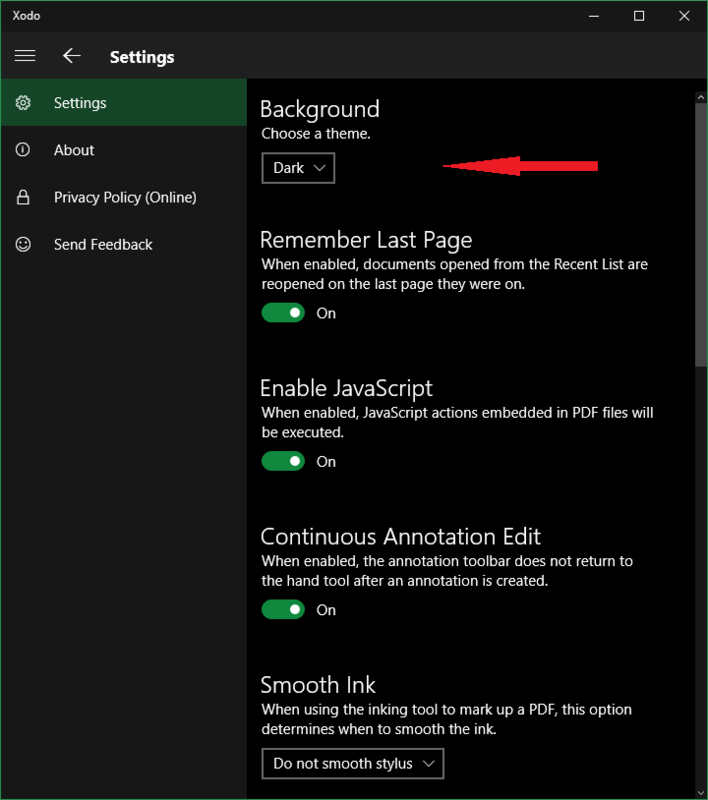 Select the dark or light theme. Note that you will have to restart the app after changing the theme in order for it to take effect.